On Monday the 28th of January at 17:00 CET, the Semi-Final Allocation Draw will take place, where it will be decided which country will perform in which of the two Semi-Finals of the Eurovision Song Contest 2019. 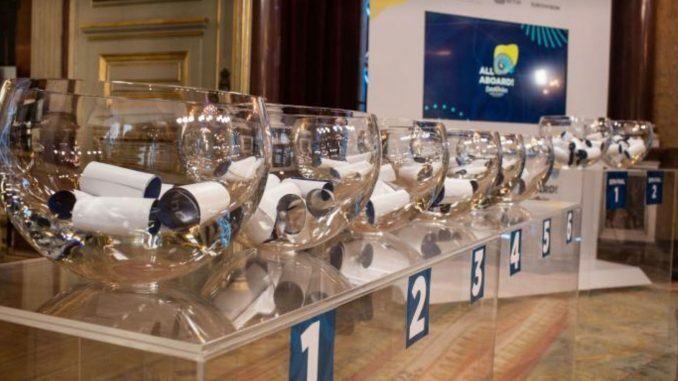 The 36 Semi-Finalists have been allocated into six pots, based on historical voting patterns as calculated by the contest’s official televoting partner Digame. Australia has been paired with Baltic nations Latvia and Lithuania. Ireland, Poland and Portugal are also seeded into Pot 4. 2019 Eurovision Song Contest presenters Assi Azar and Lucy Ayoub will take on the hosting duties during Monday’s event. The 36 Semi-Finalists have been allocated into six pots, based on historical voting patterns as calculated by the contest’s official televoting partner Digame. Main reason for the pot drawing is historic voting patterns. Countries with similar tastes go in the same pot to avoid unbalanced semi finals.